Growing up Nadia and I always had the opposite taste, to our friends, in music, sport, movies, hobbies, everything! Even from the slang we used, we were using “RAD!” and “AWESOME” when our friends in the coloured community were not even entirely sure what “Rad!” and “Fetch!” meant. Our punk rock music taste paired with skateboarding and BMXing was totally unheard of in our community. My dad’s cousin is a famous South African comedian and growing up we thought it was the best contact to have because when he met The Finkelsteins and Tweak, hopefully somehow he would remember to mention us (which of course never happened). I skateboarded for at least three years, and my punk rock taste in music ranged from Blink 182 to Good Charlotte and even closer to rock with My Chemical Romance and Linkin Park. My fashion sense was that of Avril Lavigne and well… skater girl/ boy clothes and high-top puffy sneakers! It was a thing. Even though I listen to just about anything at this stage, my favourite music genre has subtle down a lot. Not so much punk/ hard rock… but I enjoy folk rock. From the Lumineers, Philip Philips, Kina Grannis or even local bands like Matthew Mole and Majozi. Live music is so much better than listening to music from any device and this is also the reason I attend to many concerts. I am not one to watch TV too often, though once I start I could spend my entire day being a potato. My TV is permanently on a music channel and I get through blogging, organising, creating some new content or even crafting some new merch for my online store. Music somehow inspires me to be more creative and to do more without feeling as tired or bored. 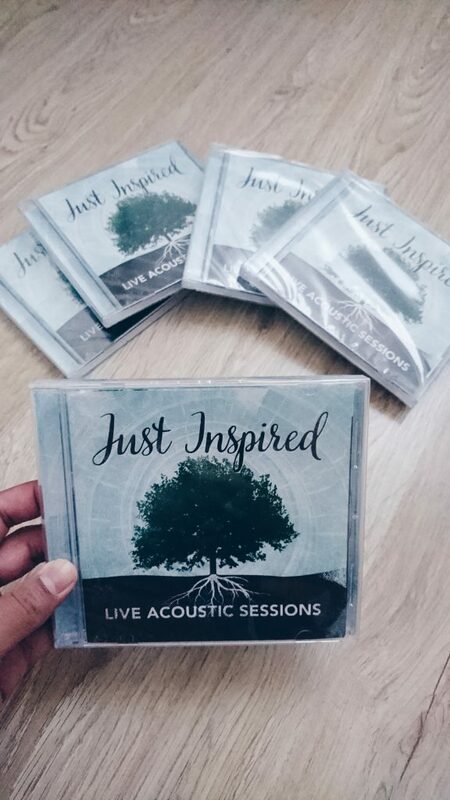 Just Music is the production house for some of the coolest local artists and I have the pleasure of collaborating with them, so Bonafide readers can get their hands on the latest JUST INSPIRED album that was just released. 2. I was a loner as a kid, but I was a complete couch potato. I “played” netball as an extra mural, just to seem normal. 2. Anything outdoors. Hiking, biking, climbing, quad biking.